Happy Friday!! 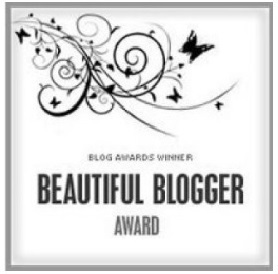 I was happily surprised and thrilled to wake up this morning to find out that I had been nominated for the Beautiful Blogger Award! A massive thank you goes to EdithM. for nominating me. She is an awesome beauty blogger from the States. You should check out her blog if you haven’t already. Additionally fivezero also nominated me for this award! A big thank you goes to FiveZero for taking the time to think of me. You should check out their blog especially if you love nail polish and all things beauty! Those are good ones! I like the one where Elaine goes to a work party and she does her crazy dance.